City Break? No, choose a Sea Break. When contemplating a quick, refreshing, relaxing, battery-recharging and easy break away, most of us think no further than a city break, but how about a sea break featuring more than one city? Such was Azamara Quest’s recent 4-night Mediterranean cruise which ticked Nice, Menorca, Ibiza, Majorca and Barcelona off the must-see list. With turnround ports of Nice and Barcelona both under 2 hours’ direct flying from London and presenting a not difficult routing from other UK airports (and both providing ample sightseeing, culture, dining, relaxation and beach, if able to extend your stay) plus less than a half hour transfer to the ship, this is a most feasible ‘short break’. 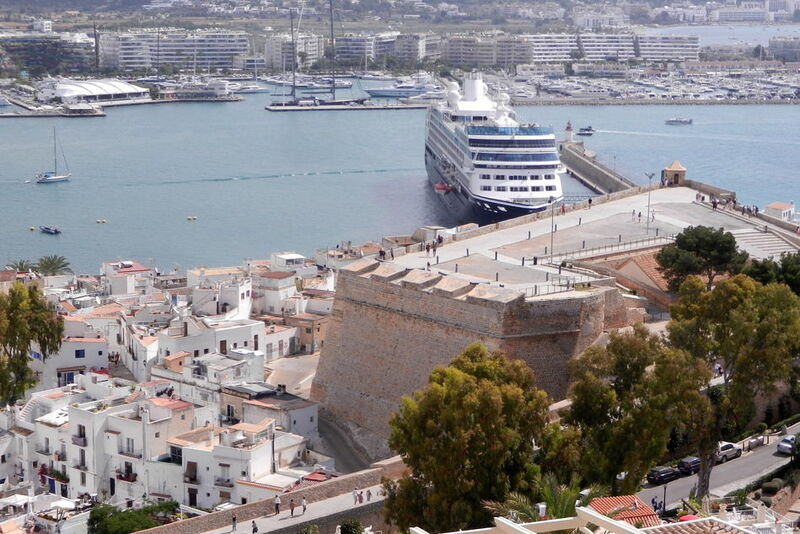 Azamara Quest is an exceedingly comfortable and stylish ship; classed as ‘small’ (690 guests) she’s able to get right up into the port – in Ibiza, after sailing past a massive ship berthed at an outer arm far from the town, we tied our ropes up literally across the (pedestrianised) road from Ibiza Town’s bars, restaurants and boutiques. It was perfect for those who indulged Ibiza’s delights until our late night 2am departure and only needed a quick stagger back to the ship’s gangway. The ship’s berth in Port Mahon in Menorca was also a similarly easy access, whilst in Majorca a very efficient complimentary bus shuttle service operated into the centre of Palma. 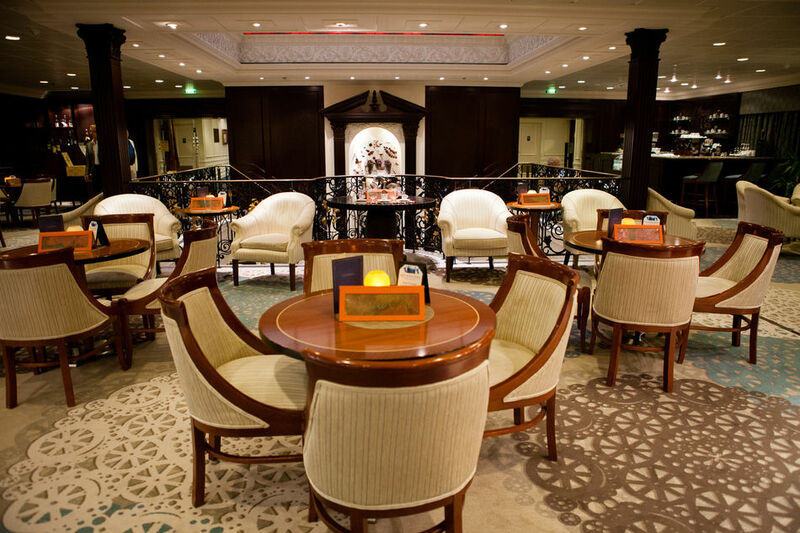 Food on board Azamara Club Cruises seems never-ending, breakfast and dinner being served open seating in the Discoveries Restaurant, whilst breakfast, lunch and dinner are in the Windows Cafe. Adjacent in ‘The Patio’ gourmet burgers are on hand from lunch through to the evening. The ship’s two outstanding specialty restaurants (Prime C and Aqualina) require a reservation and cover charge although a ‘package’ for this is offered pre-cruise. Select standard spirits, beers and wines and soft drinks on board are included, but for preferred or premium brands a supplement is payable on ordering or an upgraded package purchasable. A quiet corner of the Mosaic Cafe offers freshly made specialty coffees and teas. Gratuities for the very smiley, ever-helpful and hard-working crew are taken care of in the cruise fare. Azamara Quest has an easy layout and her beiges and dark wood lend a very calming feeling (excellent for those needing to chill from a fast-paced existence). Stateroom décor is again subdued tones with predominantly balcony staterooms, oceanviews with large picture windows and a selection of inside staterooms. On this voyage, the casino was busy and the nightclub (‘The Living Room’) jumping at the end of the evening, after its earlier functions as afternoon tea room, tapas and cocktail bar and comfortable observation lounge overlooking the ship’s bow. A deck below is the Fitness Centre and Sanctuary Spa, with endless wellness treatments to soothe away your stresses, including an acupuncturist with cures for all ailments. Evening entertainment focussed on Broadway and West End favourites harmonised by a talented quartet and gifted Cruise Director. But for those who just wanted to soak up some rays, slump on a comfortable lounger whilst being served cocktails interspersed with an occasional dip in the pool or two jacuzzis, the pool deck was the answer. Just what the doctor ordered. Whilst opportunities for such a break out of the UK are not rare, they are hardly guaranteed to produce a suntan, making the effort to reach the Mediterranean a great move. 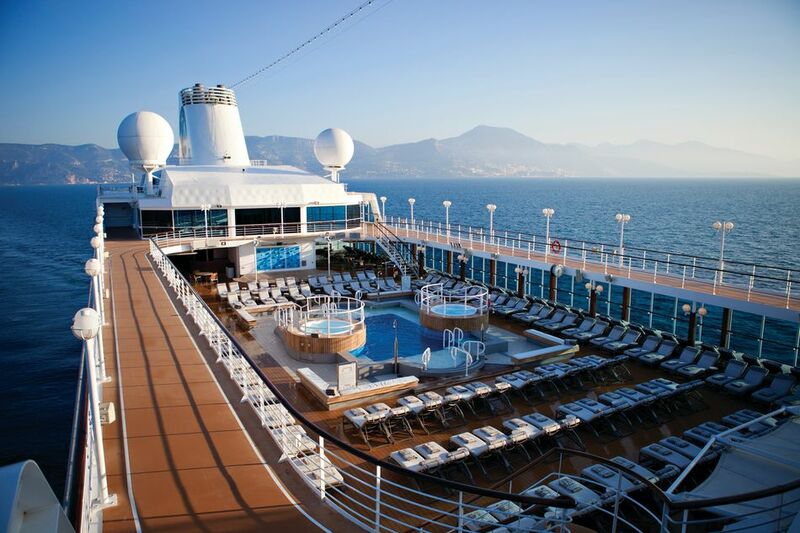 Such short cruises are few and far between for premium and luxury cruise lines, so grab the chance if you can. 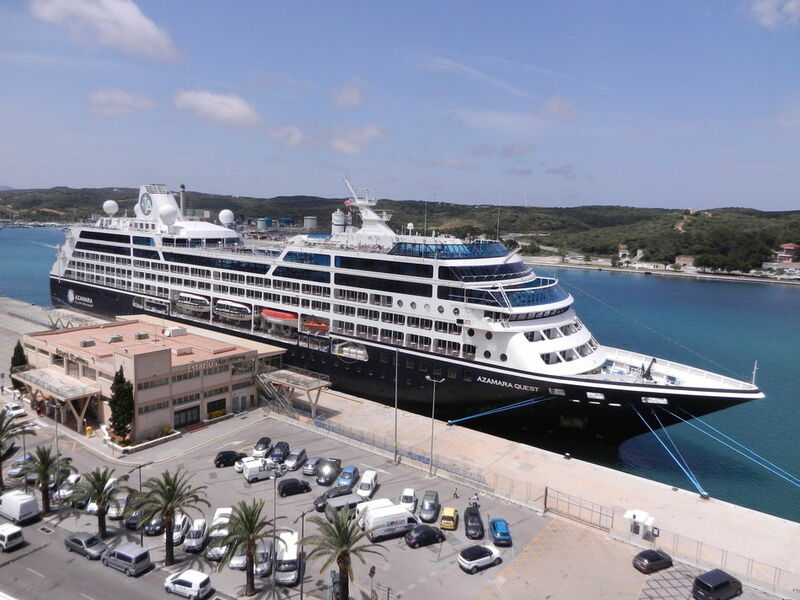 Azamara Club Cruises offers a 3-night ‘Weekend Pursuit’ Venice – Rijeka – Koper – Venice on their newest addition to the fleet, Azamara Pursuit, in June 2019 and a 5-nighter ‘Riviera Weekend’ Nice to Rome in May 2019, and in 2020 5 nights Barcelona ‘Riviera Highlights’ round trip featuring the Monte Carlo Grand Prix, a 3 night September Barcelona ‘Weekend Getaway’ and 3 nights out of Southampton in June allowing you to practise your French in St Malo and eat cream teas in Guernsey.